As Thanksgiving approaches, I want to (again) plug Dorie's Cranberry-Lime Galette -- so delicious, beautiful, and easy to put together. But mostly, absolutely delicious! Mmmm, that looks delicious. I haven't really looked at any of the pie recipes in the book yet, but that makes me want to check it out. Has anyone attempted the banana cream pie? If so, how did it turn out? Recommended? I tried the Alsatian Apple Tart today and it got rave reviews -- including a request for the recipe and another person saying she was going to go buy the book. Wonderfully simple but delicious. It'll be making an appearance at my family's Thanksgiving. I am making the Midnight Crackles and the Applesauce Bars for Thanksgiving nibbles. Has anyone who has made the crackles found them very dry to work with? When I took the chilled dough out of the refridgerator, it never softened up. I ended up cutting the dough into pieces so that I could crumble it. It had a sandy texture, so I added a touch of water to bring it together so I could roll it into balls. THey baked up fine after that, but I was very surprised. They taste great though - and I can't wait to try the applesauce bars as well! I have made the apple spice bars twice in about two weeks and i love it. I don't know because i am pregnant that makes these taste better or a combination of my love for apple and cinnamon. The one thing i changed was using browned butter to deeepen the flavor . To my surprise these were not very popular for the group of people i baked it for (twice). I really do think it had a lot to do with most of these people love overly sugary sweets while i am the opposite.And no compaints here cause i was very happy with the leftovers. While my husband and son liked these a lot they absolutely loved the chocolate cinnamon bars. 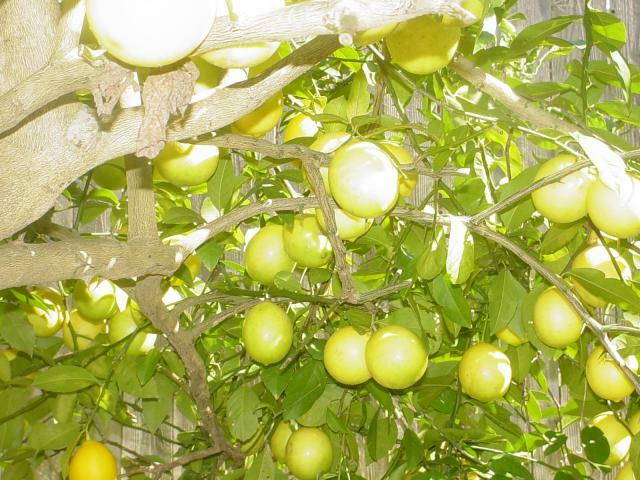 I have way more Meyer lemons than I know what to do with. 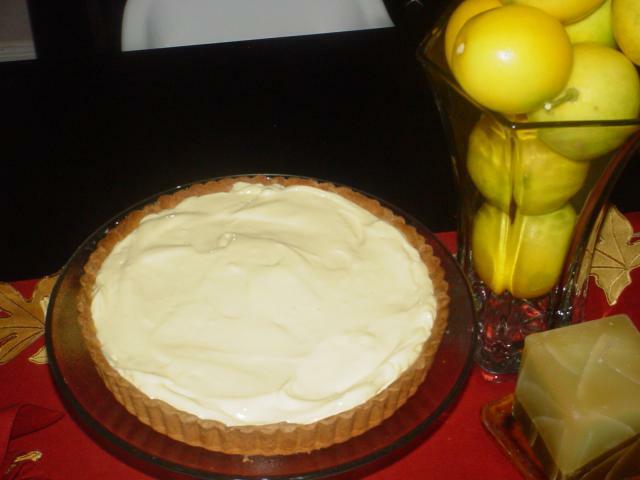 I sure know that at least a couple (they have a ton of juice) can be used for the sinfully good lemon cream tart. It's not nice to make people cry, you know. I made this using an 8"x8" baking dish and it puffed up like cake, not at all as dense as I would expect a"bar" to be. Was a delicious dessert the night before Thanksgiving. I have been browsing through the book since I bought it when it first came out but I hadn't tried any of the recipes until recently due to the overabundance of other baking books I've been playing around with (Caprial's Desserts, Cococlat, Pure Dessert, etc...) but after the chocolate sour cream cake turned out so beautifully I thought I'd try another one, and so in a fit of coconut craving I made the coconut bundt cake and added cardamom and black sesame seeds. Awesome! I brought a chunk to work for one of the women I work with and she said her husband waited until she was in bed and ate the whole thing...it was about 4 slices worth. I've been informed I'm to make another one for her to bring to her mother in law's house for Christmas. That's what I get for sharing! 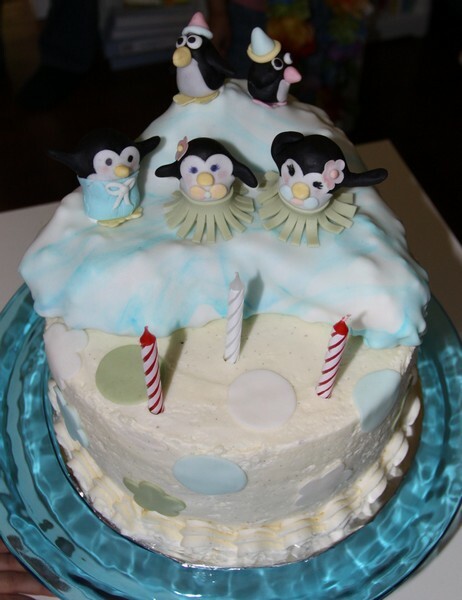 For DD's birthday, I made a "Hula Penguins in Antarctica" cake using the Perfect Party Cake with vanilla bean buttercream. Inside, there was a filling of buttercream flavoured with rose essence and dotted with lychees - an ode to PH's Ispahan. Absolutely adorable, and I know Dorie would love the PH tribute! Thank you! It was a lot of fun making the fondant penguins and iceberg. All hail to Pierre Herme - he truly is a master! The rose/lychee (and raspberry) combination has such a lovely balance of flavours. Agreed. We were in Paris this September and one of the (many) treats I grabbed to try at PH was the Ispahan macaron. It seems so unlikely, but it really is an intriguing combo -- the last bite is as interesting at the first. I've made the low and lush chocolate cheesecake. my family loved it very much. It was easy to make using the food processor method which produced a creamy mixture. I made the chocolate caramel chestnut cake last week, and it was delicious, although I used roasted fresh chestnuts instead of jarred ones between the layers and they were unpleasantly hard (although they had been fine when they were still warm). Relatives from France had brought us a box of marrons glacees for Christmas, so I used those to decorate the top. The ganache is the best thing I've ever tasted. One instruction seems off, though. Refrigerating the ganache overnight seems to be a mistake; mine set up much too stiff to spread, and I had to work it back, microwaving and beating, to get it to a spreadable consistency. I would just make it before I baked the cake. Just a note: tomorrow the Tuesdays with Dorie group will be posting their weekly recipe. This week the choice was made by Dorie, herself, who will be baking with us. Check out either Dorie's blog or the Tuesdays with Dorie blog. I was wondering if anyone has made the peanut butter torte on page 282-283? I'm thinking of making it for a co-worker's birthday next week. I was wondering about her instructions to process 24 Oreo cookies for the crust...is that the whole cookie or just the chocolate wafers? From the picture in the book, it looks like you process the whole cookie. Just wanted to check with someone before I go and possibly waste 24 Oreos! Thanks in advance. Sugar Plum -- it's the whole Oreo! Hello to everyone and HAPPY NEW YEAR! I hope it will be a sweet year for all of you. I'm sorry to have been away for so long -- I've just been swamped -- but it's so exciting to come back and to see the great stuff you've been doing. Lannie, your penguin cake is amazing. I think Pierre would love the idea of his flavor combo showing up in such a fun birthday cake. Thank you Dorie for clearing that up for me! That torte is really good! I hope you like it. I've made it a couple of times. 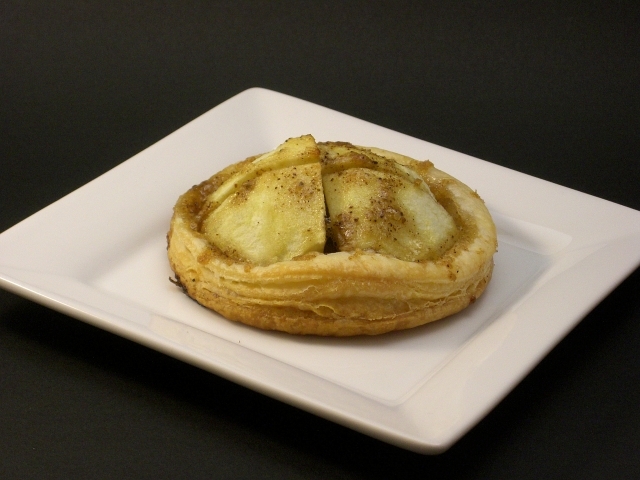 I made the Parisian Apple Tarts today. Wow! They are easy as anything, and does the house smell fantastic. isomer, that tart is lovely. I made the brown sugar apple cheesecake yesterday - delicious! I used the apple butter variation, layering homemade spiced apple butter on the bottom, a few chopped pecans for crunch, then the brown sugar cheesecake layer on top. I think next time I would try the other suggested way of using the apple butter, which is marbling it into the cheesecake better - having it as a layer on the bottom made the bottom crust slightly soggy. Not enough to turn me off, though! 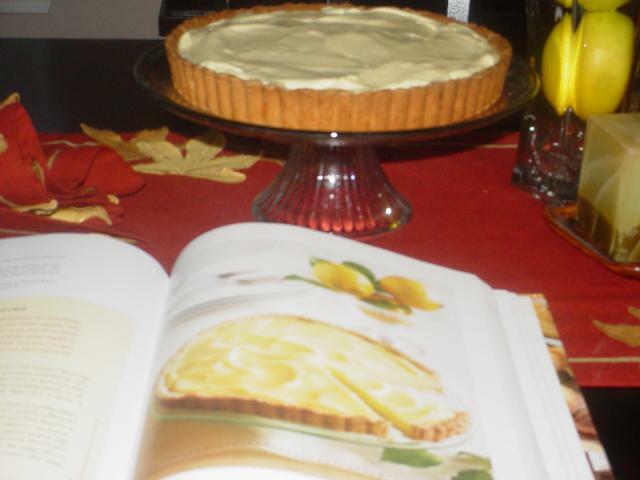 And the baking instructions were perfect - no dryness, and absolutely no cracks in the cheesecake. Yay! I baked the Peanuttiest Blondies for the first time this weekend. They were delicious, and very well-received. While they were baking I was a little surprised at how much they rose, but this evolved into a top crust that set up crunchy and levitated over a chewy moist base, with a substantial air gap in between. It all tasted great, but it made them awfully hard to cut neatly. Did I do something wrong? I think I was quite faithful to the recipe (I used Skippy creamy for PB and mini-chips for chocolate). I prepped the pan and put it on a baking sheet as specified, though I don't think the extra sheet is necessary in my oven; I always use my single layer sheets in preference to the insulated ones for cookies, otherwise they don't brown enough underneath. Less leavening? All advice welcome.